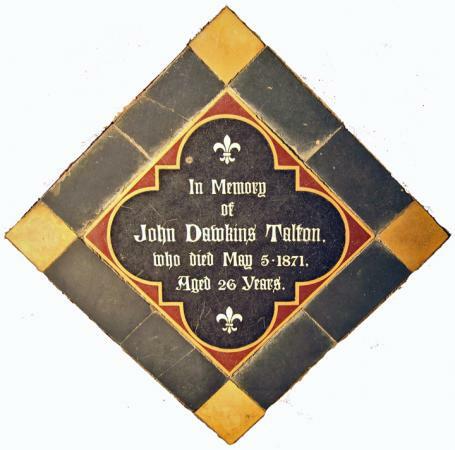 John Talton was a Grocer in Loughborough's High Street, employing two men and two boys. His father John was farming in Sileby at the time of his birth in 1845. Though he soon after took up a farming lease in Rothley, resident on Town Green. The loss of their son at such an early age was the likely prompt for father John and Mary Ann his mother to source this tile.